Heavy Duty Gloves for your Feet! 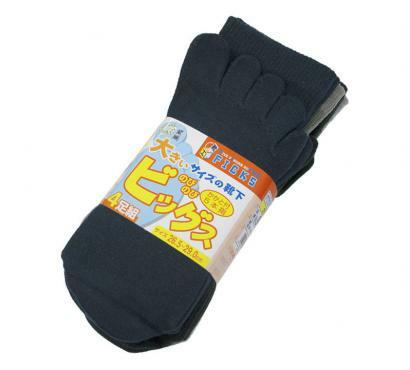 The individual toes on these high quality socks keep your feet cooler in summer, warmer in winter. Extremely comfortable, they also help prevent athletes foot and foot odor. These large size, thick five-toe sports socks are ideal for any situation and essential for wearing with Japanese jikatabi or sandals. 100% cotton with extra support for the arches and calves. Mid-calf height.